A few weeks ago I was sitting in my office in Toronto when there was a fire alarm. 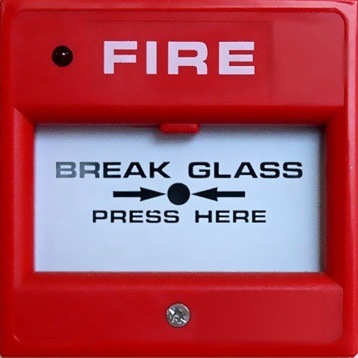 Shortly after the alarm began there was an announcement saying that they were investigating the alarm however, we were to stay in our offices until they had more time to find out the issue. I decided to leave my office anyway. I needed some fresh air, and I was being slightly cautious. Of the many things that have been researched since the fall of the twin towers, is the response by authorities and occupants in this extreme situation. There was a 298 page document called, Occupant Behavior, Egress, and Emergency Communications. This report confirmed a number of key factors regarding the people who survived and those who perished. While the buildings were burning, those calling 911 were advised to stay on their floors until authorities arrived. However, approximately 2500 people survived by ignoring this advice and leaving anyway. This “disobedience” had in some cases been due to panic, but in others was the result of real time information through social media, phone calls and internal networks. The sharing of information made for better. The researcher’s called this “reasoned flight” decisions based on true information, in which case “following the rules” will lead to death. You can listen to a podcast with George Butterfield, Lawyer, Rhodes Scholar founder of Canada’s leading walking & biking touring company. He shares how he “broke the rules” & found the right career path. Where am I going with this? In your career search, there may be many cases where you should ignore the traditional rules and use your networks, internal advisors and the help of others to make important decisions even though at times this may seems counterintuitive. For example, the career posting that says, “No phone calls please” when should you follow this, and when should you not? Well, that depends, there are many variables in the career search and that is why the educated advice of others can so important. The key is to be both lateral and logical, in your decision-making. It may “save” your career. Webinar; Get The Right Career Right Now! Join me Tuesday, August 16, 12-1 P.M. E.T. I will be sharing how to identify if you are on the right career path. Breaking the rules, along the road with you! P.S. Need help with your resume, networking & job search? Join The 90 Program Career Search Program, this 1-1 framework is a great way to get personal support & take control over your future. P.P.S. Looking to expand your network? Don’t be shy, connect with my on LinkedIn, mention your a friend & you can connect with over 2300 other Canadian professionals.